Observe The Sun Safely – Never look at the Sun without a proper filter! 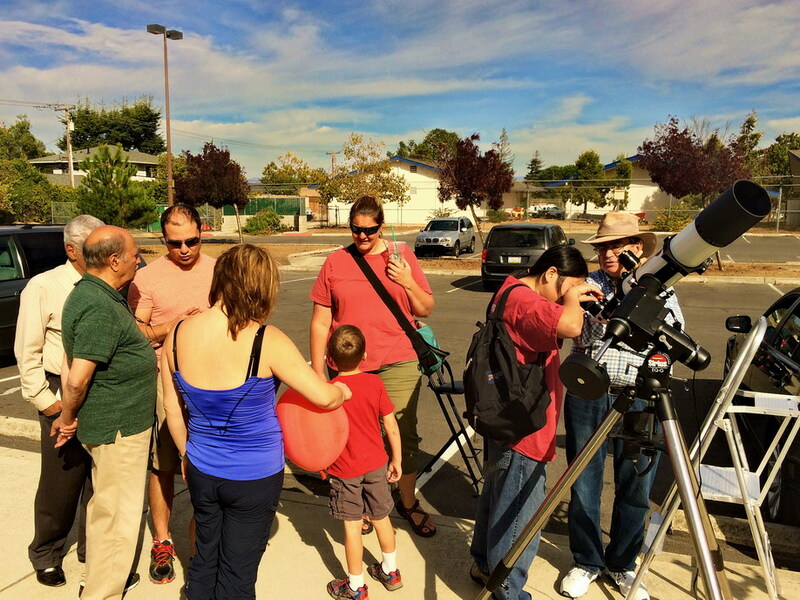 Solar Programs are held 1st Sunday of every Month 2:00-4:00 PM at Houge Park weather permitting. 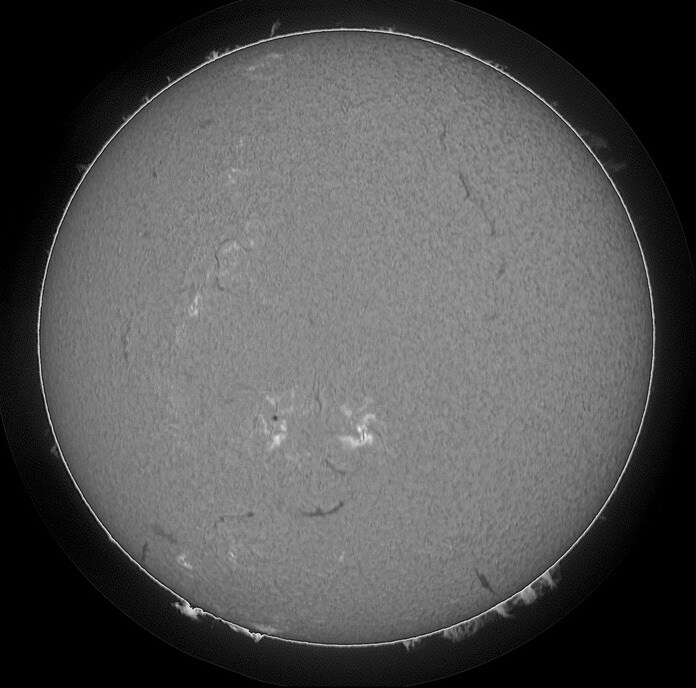 When the wisps of clouds were not in the way – which was not often – we saw some great H-Alpha Flares (prominences), Sunspots, Filaments, Plage, and solar granularity today. 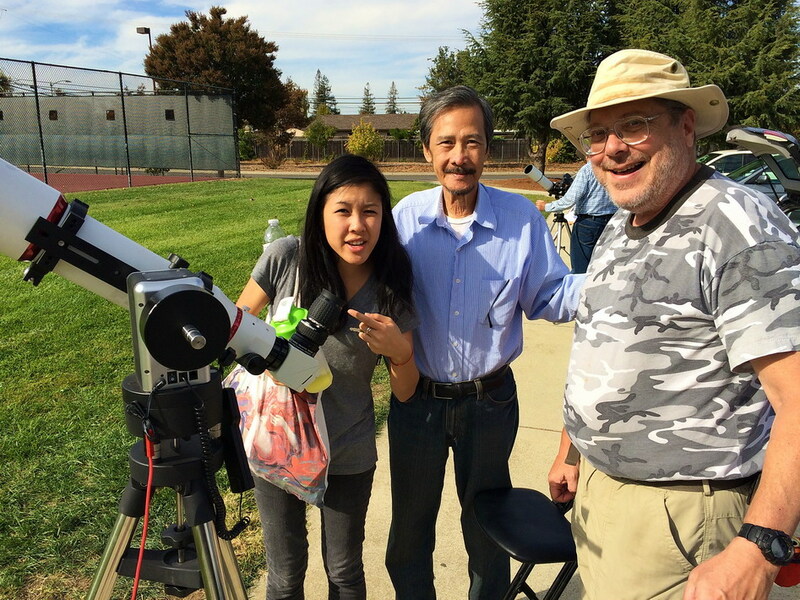 In fact the flares were better than average prompting some folks, like Anne pictured above at Carl’s scope to take some photos of the sun in our club’s 100mm Lunt. It was the first time I’ve seen a nice H-flare show up in an smart phone camera.